In case you missed this declaration a few months ago: I love pastries. Seriously. I would eat them all day if I could. So, when I found myself in Hayes Valley this weekend, I knew I had to cross Schulzie’s Bread Pudding off my list of places to try. It is my personal wonderland: all they serve is bread puddings and toppings. And oh how delicious it is. We walked in and I immediately asked if they meant it when they said “go ahead, sample them all”. They politely said they did and I proceeded to try a majority of them. They have flavors upon flavors with some served warm and others served chilled. The winners for me were the caramel, tiramisu, and chocolate. I ended up deciding on the caramel and then selected my toppings. 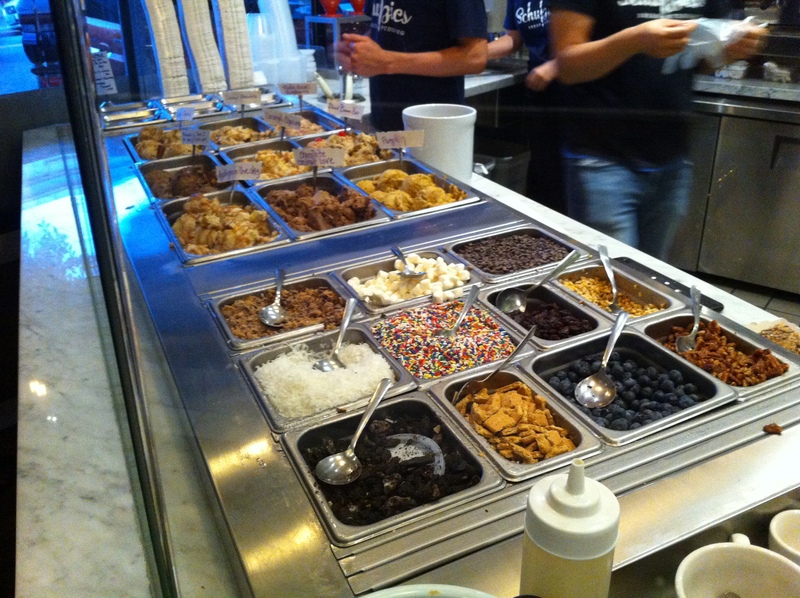 But here’s the thing: the toppings are included in the price. Hence the obscene amount of toppings seen below. The bread pudding was delicious and the ambiance was fantastic. Tucked into the side of a building, it screams San Francisco with its polished wood floors and chalkboard advertising the daily flavors. 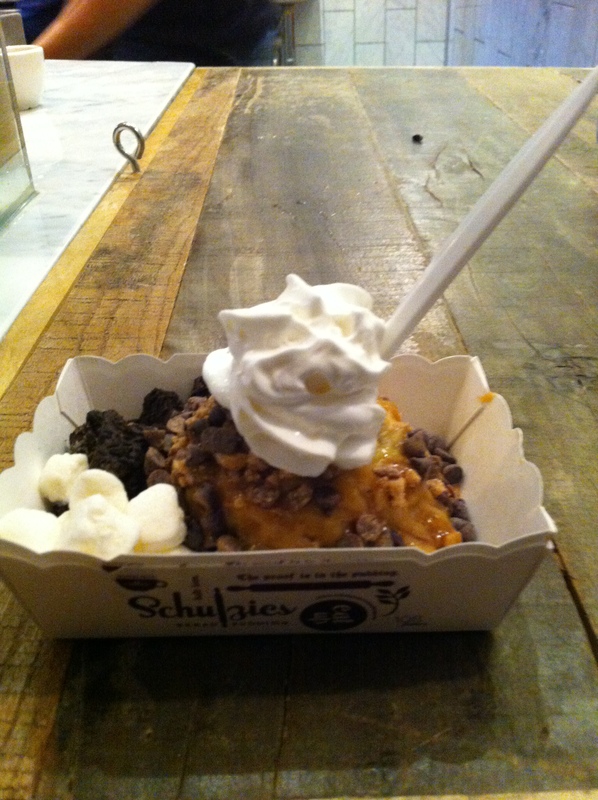 It may not be the most talked about dessert place in the City, but it should be. This entry was posted in San Francisco, Stuff we love, Taste and tagged bread pudding, dessert, food, Hayes Valley, san francisco, taste, treat.